I had a chance to stay at the District Dantewada in the Bastar region for more than a week or so and I met with a few prominent photographers here. I jumped to the conclusion that the district has become the talk of people for many reasons let’s sum up them one by one. Thirdly, It houses rare species of flora & fauna. To add to this, it has plenty of historical monuments & buildings built around even 10 century. Kadaknath Poultry Breeding program which is a government sponsored breeding program has added another feather to its cap. 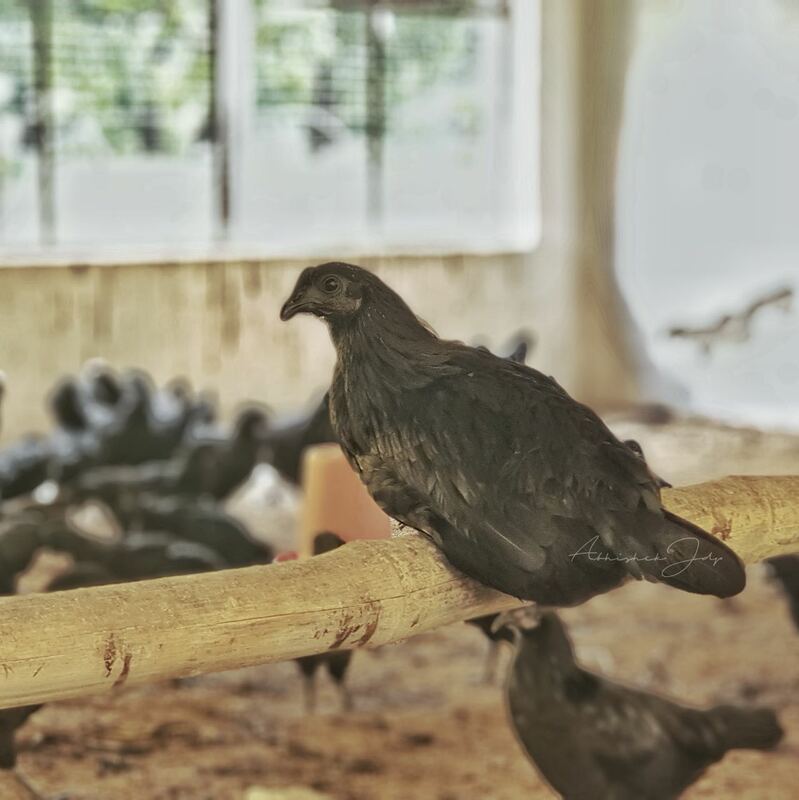 This blog aims at talking about a species of fowl known as Kadaknath here. Scientific research and intensive studies suggest that the species has high protein, low cholesterol level and fat. That’s the reason it is high in demand for consumption. Well, before I proceed, I must express my thanks to Mr Abhishek Singh Thakur, the photographer, for providing me with details of fowl. Kadaknaath is also known as "kalimasi" which has its origin from Jhabua and Dhar District of eastern Madhya Pradesh. They say that indiscriminate consumption led the breed to the verge of extinction. Taking the point into consideration, the government of C. G. has decided to save it from being extinct. It has picked up people from the marginalized section and start a program called “Kadaknath Poultry Breeding Program” at Hiranar at Dantewada. The state government has sanction Rs. 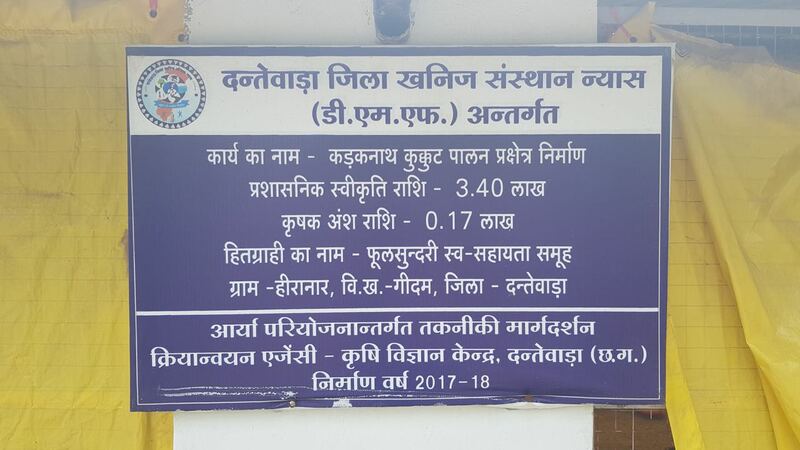 3.40 lacs for it. It is high in demand for many reasons, it has low fat and cholesterol. However, there are other features too. Here, I would like to give a few of them. Studies suggest that it increases haemoglobin and blood cells in the human body. Its meat contains vitamin B1, B2, B6, B12, C and E, niacin, protein, fat, calcium phosphorus, iron, and nicotinic acid etc. It is good for pulmonary problems. Tribal community in Madhya Pradesh uses Kadaknaath blood battle for chronic diseases. 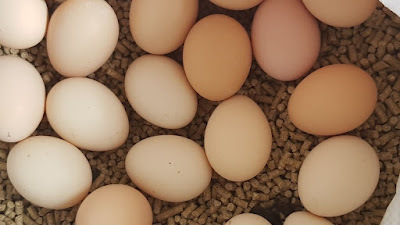 Eggs are equally important as it is good for elderly people. It is good for increasing the immunity system of the body and useful for the treatment of headaches, post delivery problems, asthma and nephritis. Its appearance: It has plumage with greenish iridescence black legs and toenails, black beak, tongue black comb and wattles, black meat bones and dark organs. The weight of the species varies- male generally weighs 2.3 to 2.5 kg while female 1.6 to 1.8 kg. Within 13 weeks it attains one kg of the body. Well, to sum up, you must visit Dantewada in Chhattisgarh to witness all these happening around here. 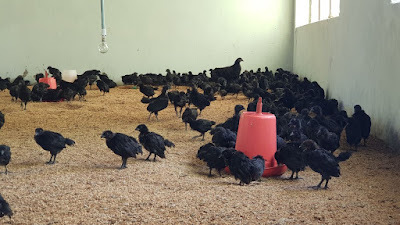 People in Indonesia call it "Ayam Cemani". Please click HERE to find my blog in Hindi as well.